A Congressional effort to condemn Nation of Islam leader Louis Farrakhan is meeting resistance from black activist groups including Al Sharpton’s National Action Network, Black Lives Matter and the New Black Panther Party. The groups are upset over a Congressional resolution by Congressman Todd Rokita that condemns Farrakhan for anti-Semitic and racist comments. A press release from Black Lawyers for Justice describes the lobbying effort to defend Farrakhan. Over 100 organizational leaders will go office-to-office to deal with the GOP representatives that are leading this campaign, in specific Congressman Todd Rokita. The lobbyist will visit members of the Congressional Black Caucus who are under pressure to condemn Minister Farrakhan though the Congressional Black Caucus has yet to muster enough strength to introduce a resolution condemning that he repeated, vile and foul bigoted and reckless comments by President Donald Trump. Malik Zulu Shabazz, the president of Black Lawyers for Justice, has also made anti-Semitic comments in the past, according to The Daily Caller. Farrakhan resurfaced in the news when news reports revealed a number of Black Caucus members associating with the polarizing figure. Facing criticism for being seen with Farrakhan, some Black Caucus members began to distance themselves from the Nation of Islam leader. The lobbying effort by the black activist groups is an attempt to bolster Congressional support for Farrakhan and to get the Black Caucus to attack President Trump. Comparing Farrakhan to President Trump is completely outrageous but the political motivation behind the effort is to influence the views of black voters with propaganda before the 2018 midterm elections. 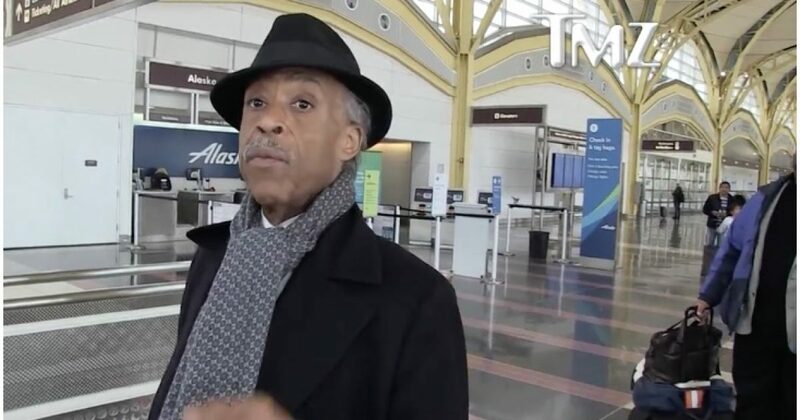 Earlier this year, Sharpton defended his position not to meet with President Trump after the 2016 presidential election and described the president’s actions as racist.